Talk about design! 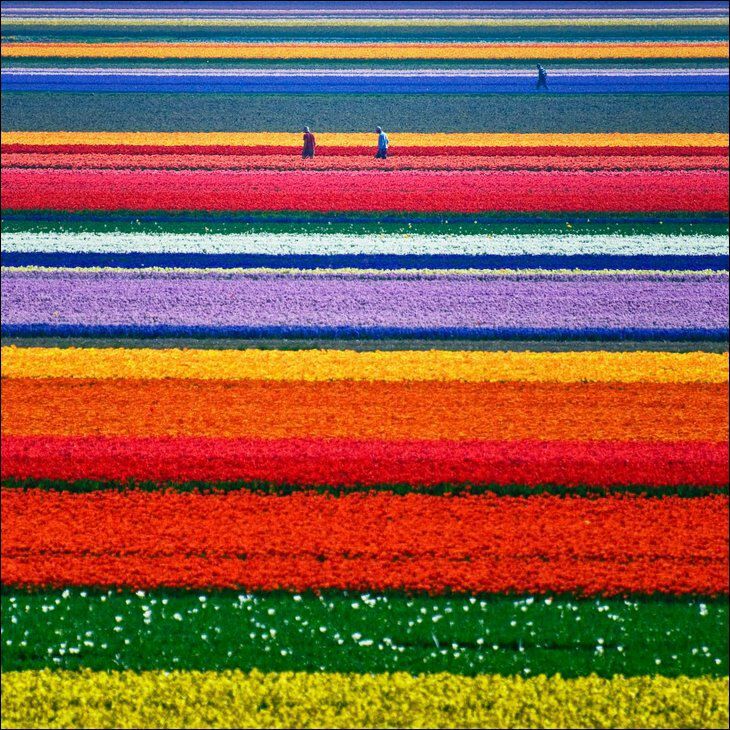 Look at the amazing stripes these rows of tulips create. Color all goes back to nature, a God-created color wheel. If this isn't proof, I don't know what is. I came across this on Poppytalk Handmade which referenced back to Lemmemakeit. This is absolutely gorgeous. I would love to sit in this field with a nice fruity beverage and just look around. 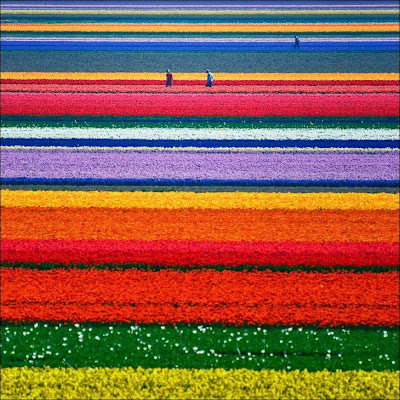 Ah Holland, I now have wanderlust and floral jealousy. A Royal Letter...to my mom! Rain, Rain, I'll Be Fashionable Today! Cindy's Apple Berry Salsa & Cinnamon Chips! Be Cute at the Store!